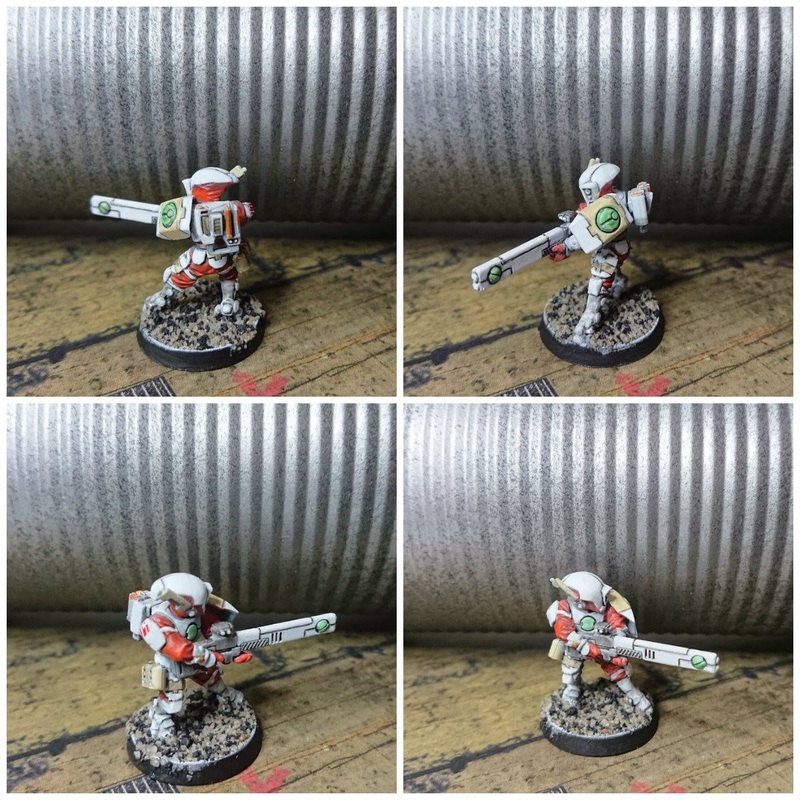 Last year I traded some of my miniatures for some Tau - none of the 'big boys', rather a whole lot of Fire Warriors, Stealth Suits and some specialist. 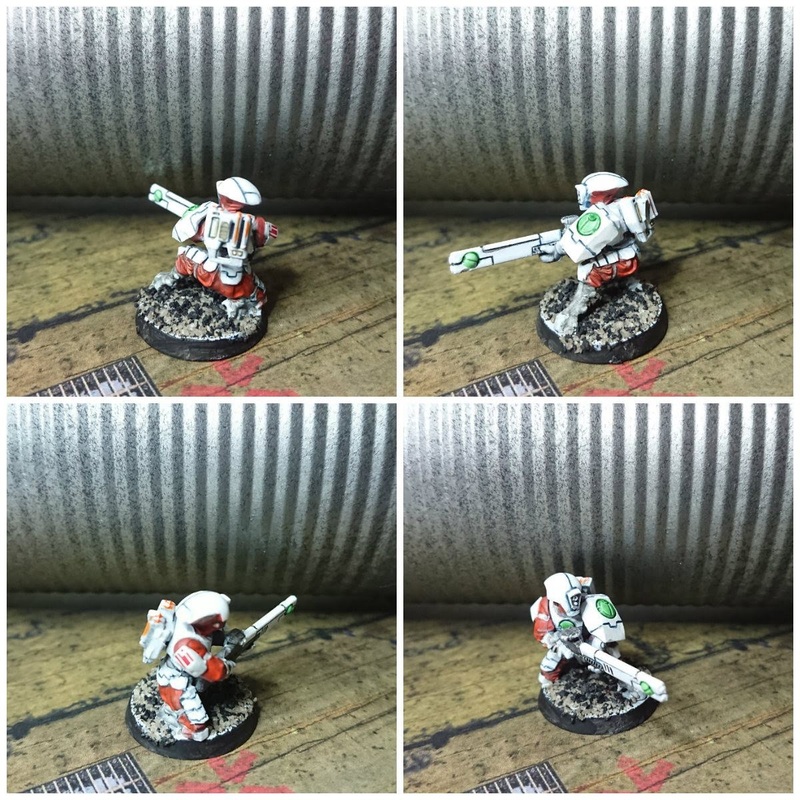 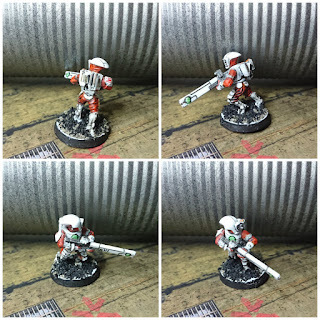 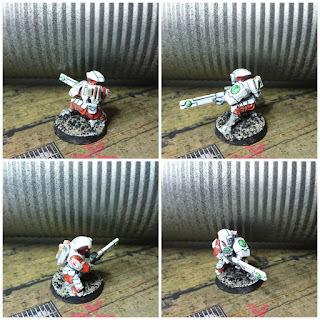 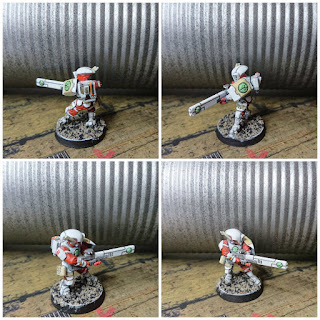 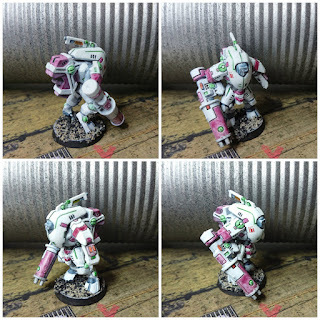 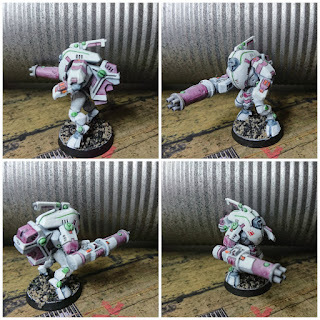 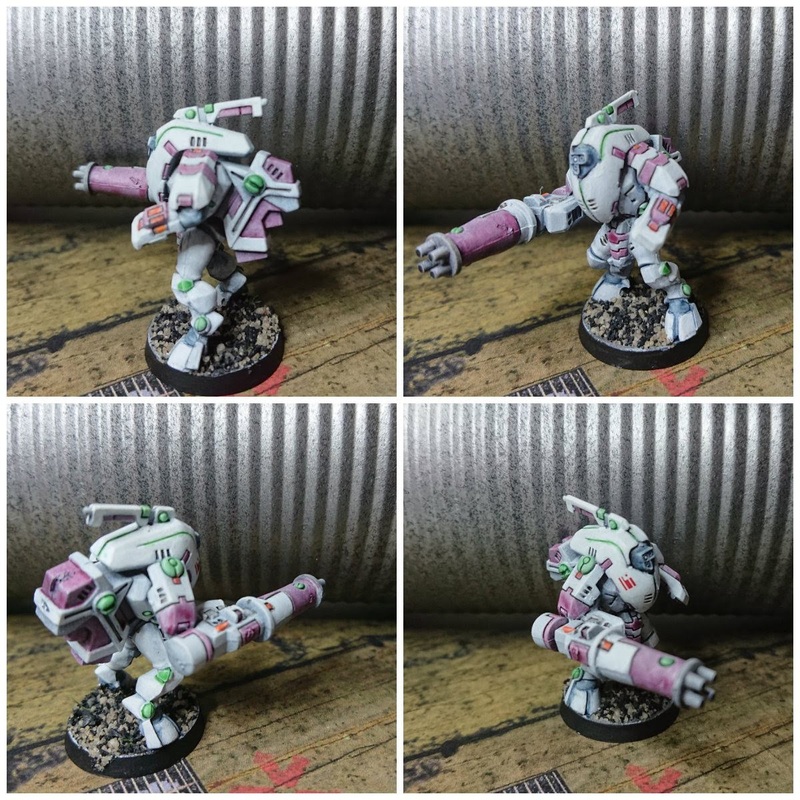 With the Nunawading 2020 game at Little Wars just around the corner, I finally put paint to plastic and just today finished off a decent little band of Tau. 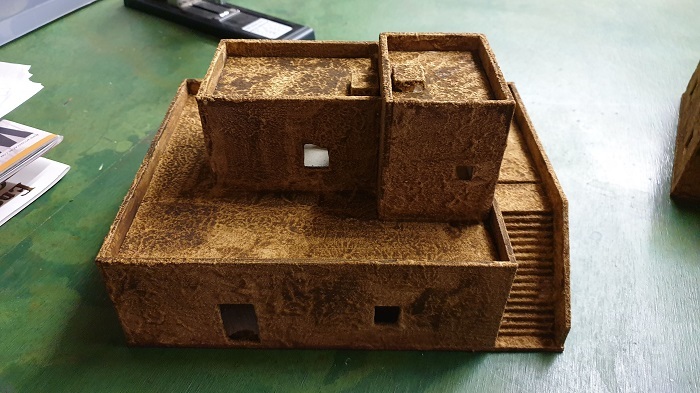 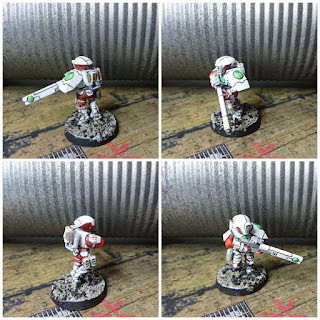 There's a mixture of genuine and recast GW models and I've got to say the recasts aren't nearly as good as the legitimate thing... to save a few bucks you're really getting (at least in this lot) an inferior product. 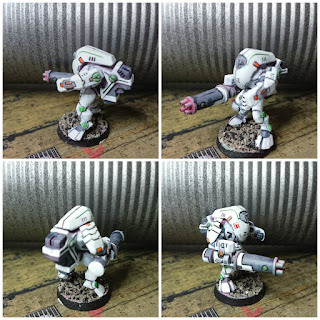 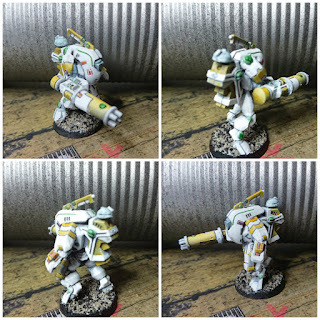 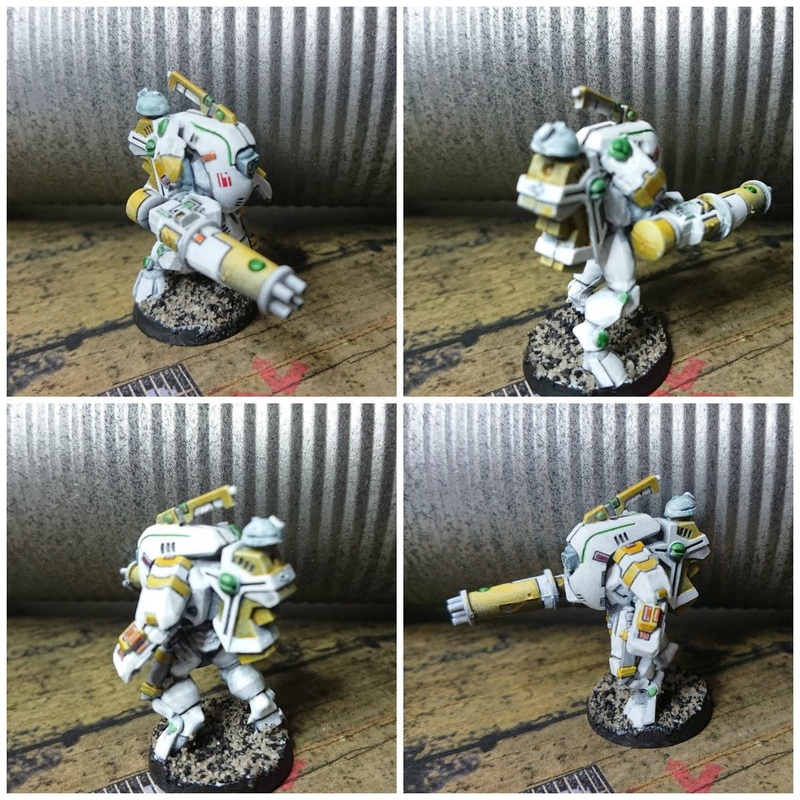 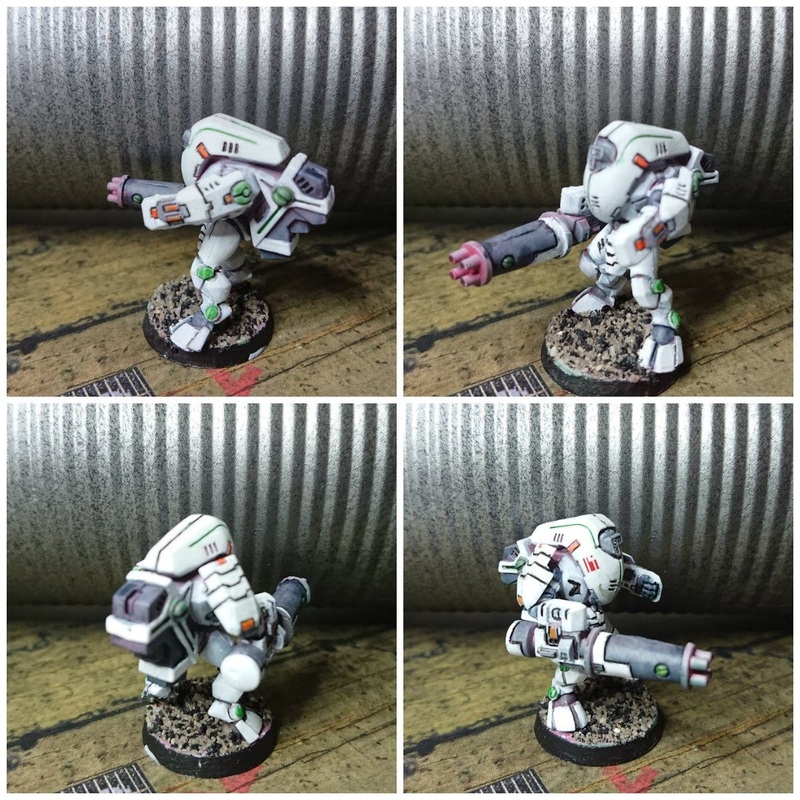 That being said, the Tau took a bit of patience: just getting the white right, then applying shades to the lines and inevitably reapplying the white again took forever. By the end of the batch, I was a lot better and quicker, so I put the experience down to good practice. 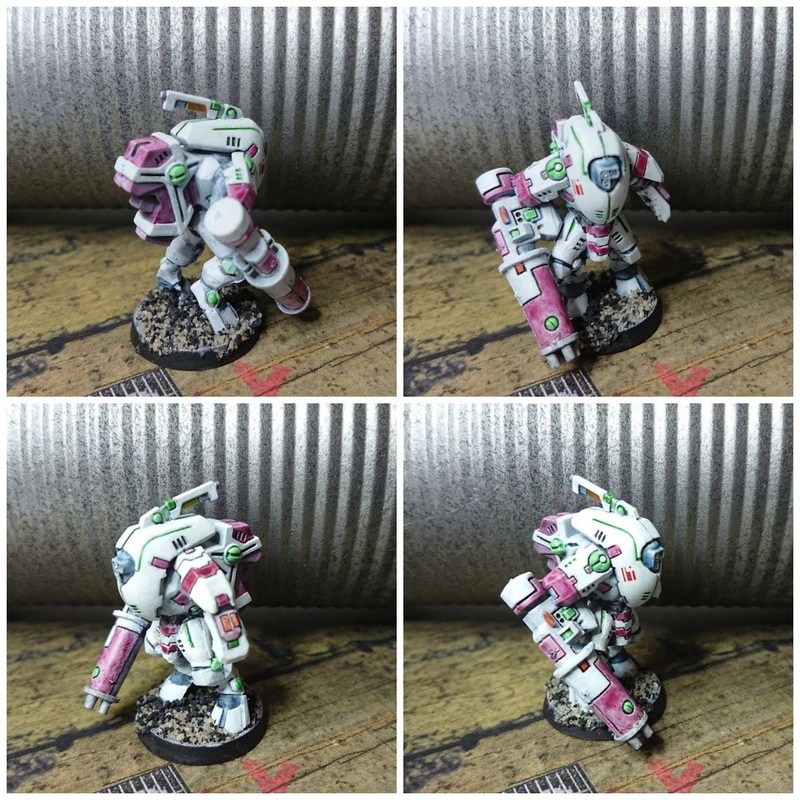 Also, I applied some decals which worked a treat - only one decal per model (with the exception being the Sniper) and they look top-notch. 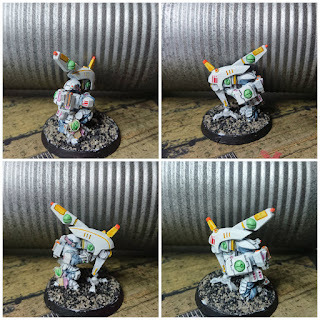 Sometime in the future, I'll put together some more drones and also an Ethereal as a hero unit - they can wait for the moment as I want to get some other projects underway first. 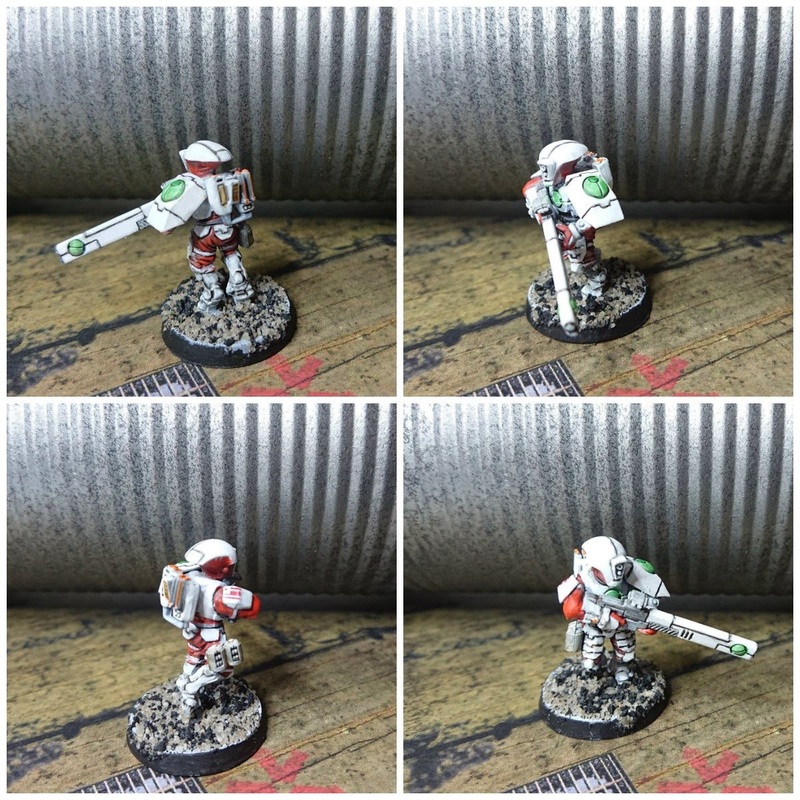 But now that I have finished some Tau, I can legitimately publish their R40K stats! 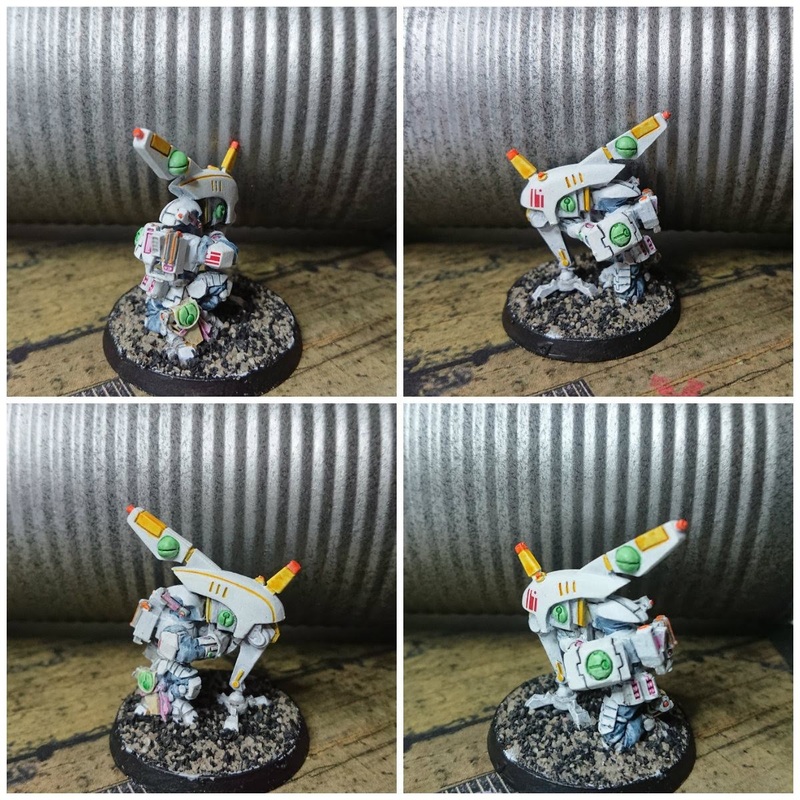 Hooray - I'm looking forward to facing them off against some opponents in the near future.